After a successful kickstarter campaign last year, I went straight to work on getting the files ready to print. I learnt a lot from this process, my drive to make the highest quality product has shone through! 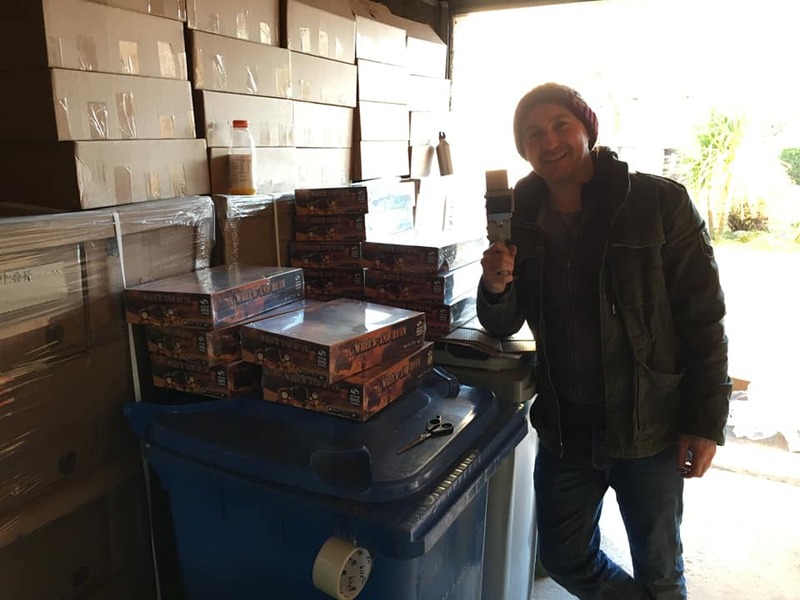 The games arrived at wasteland HQ in February and I wasted no time preparing them to ship to my backers, all with a little help from some friends! Mark, the wasteland guide, caught taking a rare break! The games are now in the hands of backers, and you need only read the comments on the kickstarter page, the facebook group, and the BGG posts to see how happy they are with the game. There is seldom time to rest in the Wastes, now I must return to oversee the battles that are raging all over the world now!